International experts are due in the UK to assess the type of nerve agent used to poison ex-spy Sergei Skripal and his daughter in Salisbury. A team from the Organisation for the Prohibition of Chemical Weapons (OPCW) will visit the military research base at Porton Down in Wiltshire. Experts at the site say the agent is of a type first developed by the Russians. President Putin said the idea of state involvement - before Sunday`s election and the World Cup - was "unimaginable". Speaking after winning a fourth term as leader, he insisted Russia had destroyed all of its chemical weapons, adding it was "nonsense" to implicate his government in the attack on 4 March. Foreign Secretary Boris Johnson had earlier accused Moscow of stockpiling the agent used in the attack. Mr Johnson is travelling to Brussels to seek further support for Britain`s stance, from both the European Union and Nato. The delegation from the Netherlands-based OPCW, which polices the prohibition of chemical weapons, will also meet senior detectives. They have been invited by the UK to independently verify the nerve agent used and will take at least two weeks to produce results. 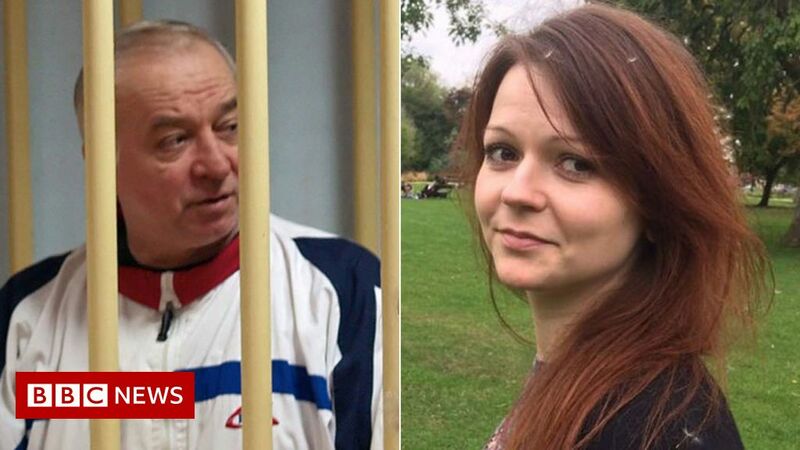 Ventilation system theory Sergei Skripal, 66 and Yulia Skripal, 33, remain critically ill in hospital. They were found slumped on a bench near a shopping centre in the centre of Salisbury, having visited a pub and a restaurant. The Metropolitan Police are treating the attack as attempted murder. They have renewed their appeal for sightings of Mr Skripal`s burgundy BMW 320D saloon car, registration HD09 WAO, in Salisbury on the morning of 4 March. According to sources cited in a report on ABC News in the US, Mr Skripal and his daughter may have been exposed to the nerve agent through the vehicle`s ventilation system. Police say they have recovered 762 exhibits and are trawling through about 4,000 hours of CCTV footage. Officers said they were "making good progress in what is a painstaking investigation that is likely to be ongoing for weeks, if not months". Next steps Prime Minister Theresa May told MPs last week that the substance used in the attack had been identified as belonging to a group of military-grade nerve agents known as Novichok, developed by the Soviet Union. Speaking on the BBC`s Andrew Marr Show, Boris Johnson said: "We actually have evidence within the last 10 years that Russia has not only been investigating the delivery of nerve agents for the purposes of assassination, but has also been creating and stockpiling Novichok.
" On Saturday, the Russian foreign ministry said UK staff would be expelled from Moscow within a week, in response to Britain`s decision to expel 23 Russian diplomats. It also said it would close the British Council in Russia, which promotes cultural ties between the nations, and the British Consulate in St Petersburg. The prime minister has said the UK government would consider its next steps "in the coming days, alongside our allies and partners". Meanwhile, the shadow attorney general Shami Chakrabarti reiterated Labour`s position that the incident was either a "loss of control" by the Russian state or a "malevolent directed attack". John McDonnell, the shadow chancellor, said Labour had given a "constructive critique" in response to the incident which others "had misread". He told ITV`s Peston on Sunday: "We support exactly what the prime minister said and we condemn Russia for this, condemn them.